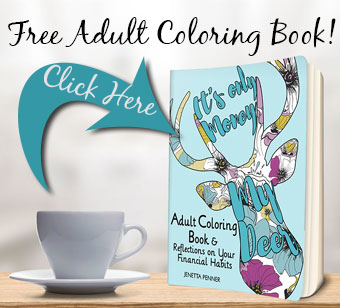 Want more ways to spoil your pup? (who doesn’t) If you haven’t already… meet my Flynn. He is as loyal as they come and since he is names after Flynn Rider from the Tangled movie he has irresistible charm. This boy is constantly by my side and has an adoring looking I can’t resist. So of course I want to spoil him. 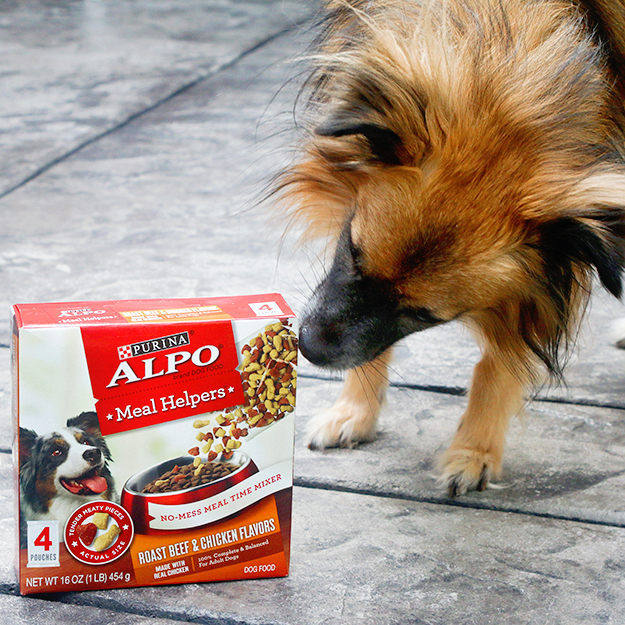 I picked him up some of the New Alpo Meal Helpers for a little treat, and he LOVED them. You should have seen his happy dance. 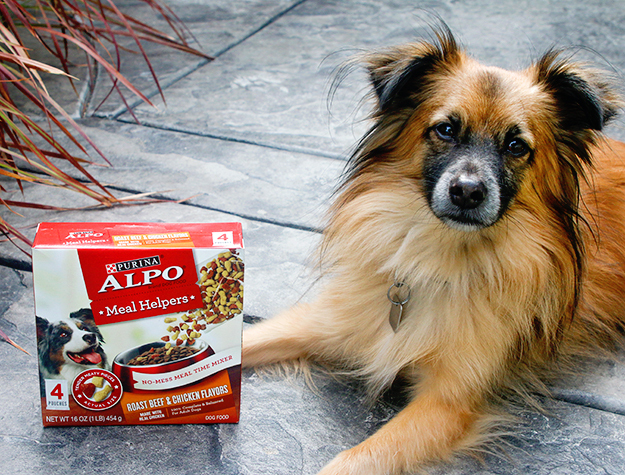 You can grab New Alpo Meal Helpers at your local Dollar General to add taste and excitement to your dog’s dry food. It’s less messy and is more convenient that wet food. You will get 4 single serve 4oz packages in a box. 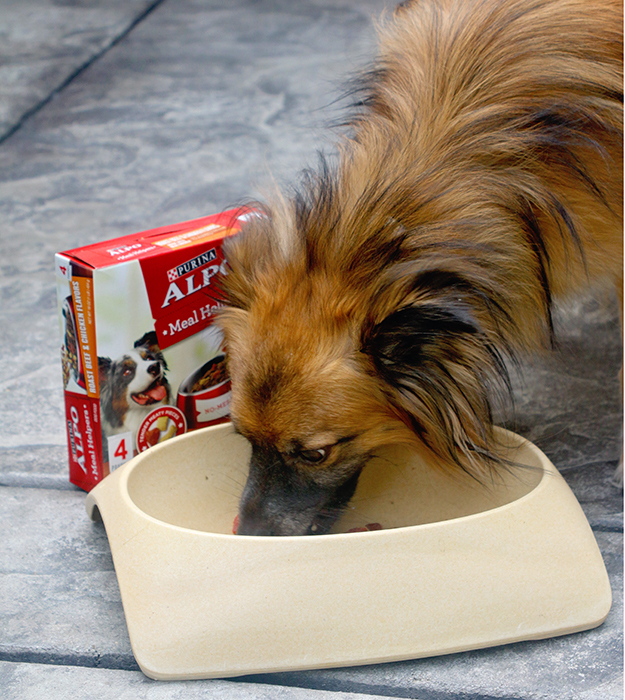 And if you want to be as lucky as your dog share a photo on Instagram of your dog enjoying the new product and challenge/tag your friends to submit one as well using the hastag #alpomealhelpers. The photo with the most shares will win an Alpo prize pack with a coupon for a free Alpo Meal Helper & Alpo biscuits plus a $100 Dollar General Alpo Products gift card. How many dogs do you have and how do you spoil them. Leave us a comment!